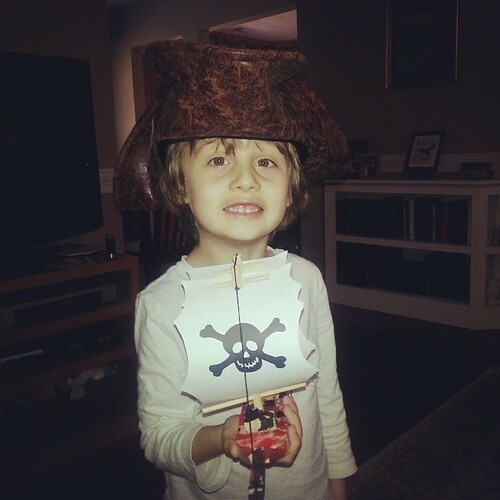 Someone got a rather epic haul of pirate paraphernalia for Christmas this year. The love seems to be going nowhere anytime soon. 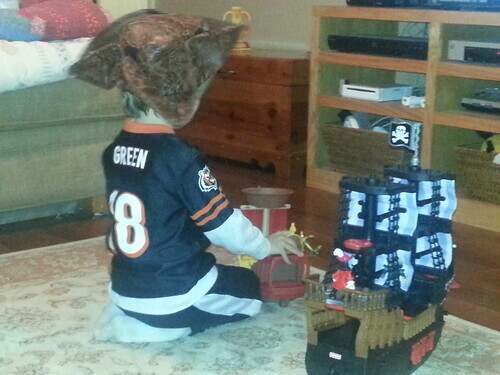 The battles with his new pirate ships are epic, commonly taking place on a blue rug that is OBVIOUSLY the high seas. The treasure chest is hidden, then discovered after using the sword and gun to fight off bad guys, and the map, compass and telescope to find our way. The hat is a favorite, replaced only to switch roles and put on his Link hat and shield. Then a new world opens up. 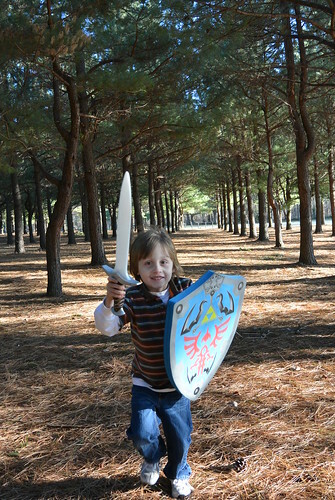 Still with pirates, but now he is the mighty Link, looking for treasure chests and using his shield for protection. Always on the hunt for a princess. Walking into a room with his green hat on, saying "Hi Mama, it's Link. Where did Henry go?" and his face lighting up when I say "Oh hi Link! We have missed you! Henry was just here... now where did he run off to??" It's a fun time in the Bio Girl house. His imagination is inspiring, and it has become one of my very favorite things about him. I sit back, watching him so completely engrossed in his own make believe world, and I pray he never loses his ability to imagine, to dream, and to live in his own created moments. How do you teach them to keep doing that? If anybody knows, send the secret my way. Because I want this stage, these imagination fueled days of pretend play, to go on forever.